The vision of Arts Science & Commerce College is student centric. The Board of Students Welfare truly represents the vision which is multidimensional as well as multifaceted. The Board of Students Welfare is persistently engaged in developing the personality of the students, and provide them various opportunities. At A.S.C. Rahata, we believe that ‘knowledge or education has only one duty to secure the welfare of the students’. Firmly working on the quote, we work ardently for the welfare of the students, so that we can take care of each student & extend our full support & guidance. The SWB is constantly taking sincere efforts for the all-round development of students. And as a result we have won ‘Best College Award’ in the year 2011-12 by SWB of SPPU for implementing number of activities for student’s development. We are also honoured with ‘Best Student Welfare Officer’ in the same year. Under the joint auspices of SWB, SPPU, the following programmes are implemented for the welfare of the students. Earn & Learn Scheme is a social welfare scheme run by the college with collaboration of Savitribai Phule Pune University, Pune. The college offers 'Earn & Learn Scheme', providing the minimum employment for the economically poor students to enrich them while learning. The main objective of the scheme is to help the students, who are needy, economically backward, intelligent and meritorious but cannot afford higher education. This will make higher education accessible and available to them. The scheme is presently being undertaken at the under graduate level and post graduate level. The students are interviewed by the committee and selected on the basis of financial background. The selected students have to submit the Family Income Certificate to prove that they are economically backward. The students enrolled under the scheme are given the work which increase their skills in the areas of study, office work, technical work and field work. The motto of National Service Scheme (NSS) is ‘Education through Community Service & Community Service through Education’. This is perfectly true of the NSS unit of the college. NSS is voluntary association of students working for a campus community linkage. 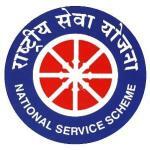 National Service Scheme has been implemented in the college since 1997. NSS has created its own mark in the college and as a result it is recognized as one of the best units in SPPU. To instill community service, the college has dynamic & dedicated NSS unit. The NSS aims to inculcate social service among students. It helps students to get involved in social activities & infuses confidence & self-reliance among them. The scheme provides a good opportunity to students to develop the spirit of service to society, qualities of teamwork & leadership, personality development, initiative & dedication to a social cause. The main aim of NSS to involve students in nation building activities. It enhances patriotism among students. In NSS, students are expected to take initiative in regular activities like cleaning campus, tree plantation, gardening etc. They are also expected to attend Special Camp at adopted village. Students attending Camp for two years will be liable to get NSS certificate & other facilities. ACTIVITIES :-NSS conducts various activities for community service as per the guidelines of SPPU.